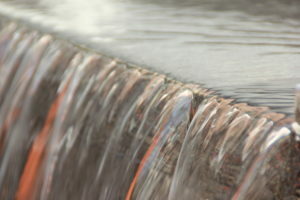 LIMA – Lima’s water contract with the city of Rochester will be expiring soon, but with a cost increase on the way, the Town Board is considering other water options. This fall, Lima’s 30-year-old water contract with Rochester will expire. If the town renews that contract, the agreement will span 20 more years. According to Town Attorney Steve Kruk, however, continuing with the Rochester supplier will mean an increase in cost. According to Town Supervisor Pete Yendell, that increased fee is because Rochester uses Monroe County pipes. “Monroe County charges the city of Rochester an additional fee for running water through their pipelines,” Yendell said. At this time, the amount of the additional fee is unknown. Kruk explained that when the town first contracted with Rochester, getting water directly from Monroe County was impossible because of regulations. Now, that is no longer the case. Yendell stated that he, Kruk, Village Mayor Carl Luft, Town Highway Superintendent Keith Arner, and Village Department of Public Works Superintendent Ben Luft plan to investigate the town’s future water options. Yendell ultimately said that determining Lima’s future water source will likely depend on who can give the town the best price. “It may wind up being a little negotiation back and forth between the county and the city,” Yendell stated.